Last Saturday we were invited to indulge the residents of Middlewich in a cookery lesson related to all things spice and Indian cookery. Having a penchant for such things, we happily accepted! The demo ran as part of the Middlewich Makers Market – a monthly event that brings together the finest and often award wining food, drink, art and craft producers in the area. 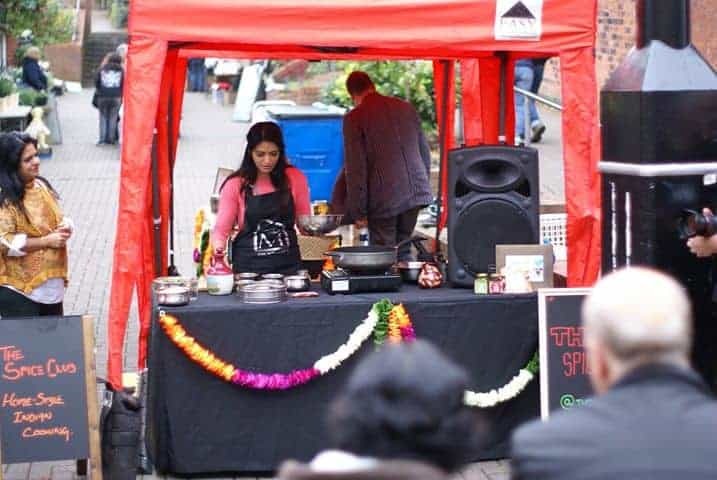 From giving a tour around the spice box to cooking up fresh spinach pakoras, we had a great time teaching the crowd about home-style Indian cookery! Check out some snaps below or see the full album here….